Taking control of your retirement with a self-directed IRA is a great thing to do as it opens up a completely different world of investment options, flexibility and control. But with more freedom comes more responsibility. It’s your responsibility to educate yourself about the rules and become a better investor so that you can get the most out of this powerful retirement vehicle. Prohibited transactions have to do with intent, as in those transactions that run afoul of what the account is intended for, which is your future retirement. Any action or transaction that can be construed as providing you with direct use or benefit is not allowed. * Disqualified Person: For Plan purposes, a disqualified person is defined as the account holder and his or her spouse, lineal descendants, account fiduciaries, trustees, investment managers and advisers; and any corporate entity in which the account holder has at least a 50 percent ownership. For the complete list of prohibited transactions, see IRC Section 4975. Due diligence is simply doing your homework on your prospective investments. Due diligence acts as a counterweight to the excitement that builds up in investors after hearing a sales pitch. The type of investments where people often suffer from their own lack of due diligence include real estate syndicates, unsecured debt Instruments, and business start-ups. The reason is that these types of investments can be complicated, expenses underestimated, and the true money-making potential can easily be exaggerated to novice investors. What am I really buying? What is the investment’s value? Where are the risks and rewards? How can I get out of this investment if I had to? Recommendation: Walk away from an investment whose sponsors are uncooperative in helping you do due diligence. Step transactions are those which involve a series of transactions usually designed to conceal the fact that the end result is a prohibited transaction. For example, let’s say that you don’t want to pay taxes on a property you’ve owned personally for a while, and it has a large unrealized capital gains. 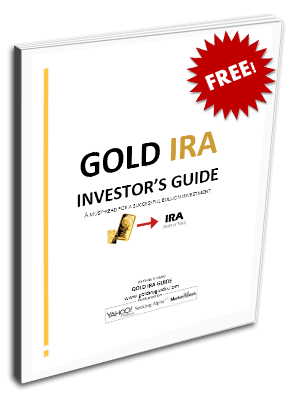 So you sell it to a friend at your cost, with an unwritten promise to sell it back to your Self-Directed IRA. Thus, you’d be able to move a highly appreciated asset to an account where you could avoid taxes on a sale. This is clearly a form of a prohibited transaction. Most step transactions involve selling an asset to someone that is not a disqualified party and later getting it in the hands of a disqualified party. Do not ever try to circumvent the rules, as there are taxes and penalties at a minimum. Over the past few years master Ponzi-scheme operators have bilked investors out of their life savings, to the tune of over $100 billion. You need to be skeptical of any investment pitch that sounds too good to be true. Red Flags: Overly complicated explanations of the investment or the pitch man is condescending since “you wouldn’t understand it anyway”. Experience and study will help you determine who’s on the up and up. If you plan on being rich when you retire, you must be on a life-long quest for knowledge. Returns above 30% year after year are nearly impossible to achieve, and if they could do it that easily, why do they need your money? Many times this comes up when Self-Directed IRA investors are buying real estate. They’ll attempt to save a few bucks by avoiding title company fees by taking a quit claim to represent their interest in a property rather than a full title search along with a warranty deed. You want to prove beyond a shadow of a doubt that the person selling you a property is the actual owner. Use a title company can help you avoid liens and other difficult to find assessments that you could get stuck with otherwise.